Recognize the upmost excellence with a top of the line Distinctive Award! Awards of Distinction are the highest honor. They make fantastic corporate awards. Distinctive Awards are also great for recognizing members of your organization or community that have gone above and beyond to reach excellence. 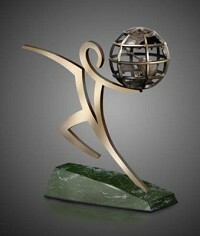 Awards Zone offers a wide array of top of the line Distinctive Awards. Call of email us today to get information on the perfect distinctive award for your occasion.